Ed Sheeran is getting pretty used to the accolades he is received of late and that now includes the worst dressed male celebrity by GQ magazine. Sheeran took it on the chin though, tweeting “named no.1 worst dressed male in GQ, glad they noticed”, and later contesting “i did wear a Burberry suit once”. 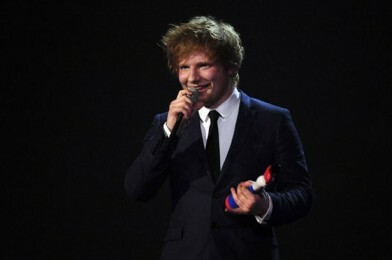 He wore a Burberry suit to receive his Best Male Artist and British Breakthrough Act awards at last year’s Brits. Ed was followed by politician Jon Cruddas and Jordan’s ex Alex Reid.